Section 1 Basic lessons, cxcrcises, procedures, meditations and fundamental esoteric philosophy relating to the Major and Minor Arcana. Section 2 Major and Minor Mentors, which are guides to the positive and negative interpretations of the symbols on each card. Further Mentor guidelines include a Comparison Chart and an in-depth explanation of meanings when certain symbols fall near each other in a spread. Section 3 Procedures necessary prior to spreading the cards for divination. My intention is to teach you as simply as possible how to work with and understand the Tarot cards, and not to attempt at this stage to fill your mind with too much unnecessary detail. I would like you to feel that I am teaching you personally, so that the Handbook becomes not only a source of learning but a friend you can relate to on a very personal level. 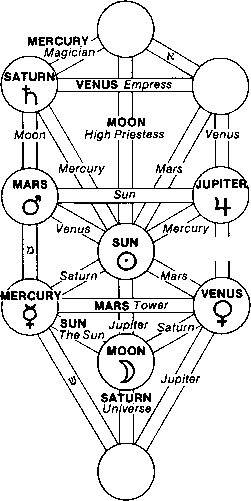 During my years of teaching the esoteric science*, 1 have found that people usually want to "get on with it" as soon as possible, sol intend to present the rudiments of this ancient art to you right away. It is important for the beginner to become involved with the symbol o#y of the Tarot deck immediately; once you arc familiar with the cards and feel able to master the basic procedures, your enthusiasm will be aroused and you will be motivated to learn all you can. It is at this point that the real adventure of Tarot begins. 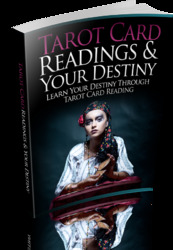 Whatever your purpose in studying the Tarot may be, this Handbook will piovidc you with a continual ready reference, it contains both method and procedure for learning the art of divination. By using the Major and Minor Mentor guides, you will be able to locate Cabalistic, Astrological and Numerological references at a glance, liach individual subject is treated in such a way as to enable you to quickly discover and explore whatever aspect of the Tarot you desire.